Contents: 55 oil pastels, 48 watercolour cakes, 32 chalk pastels, 25 page artist pad, 24 colour markers, 24 crayons, 18 mini colour markers, 17 mini colour pencils, paint palettes, 1 sharpener, 1 pencil, 1 brush and 1 case. A bit about the brand: Royal & Langnickel is a pioneer and recognized leader in developing. manufacturing and supplying superior grade art products with over 60 years of experience. Ordering online was easy and quick (collected order),went into local store following afternoon and my order was ready and waiting (and very pleasant staff). 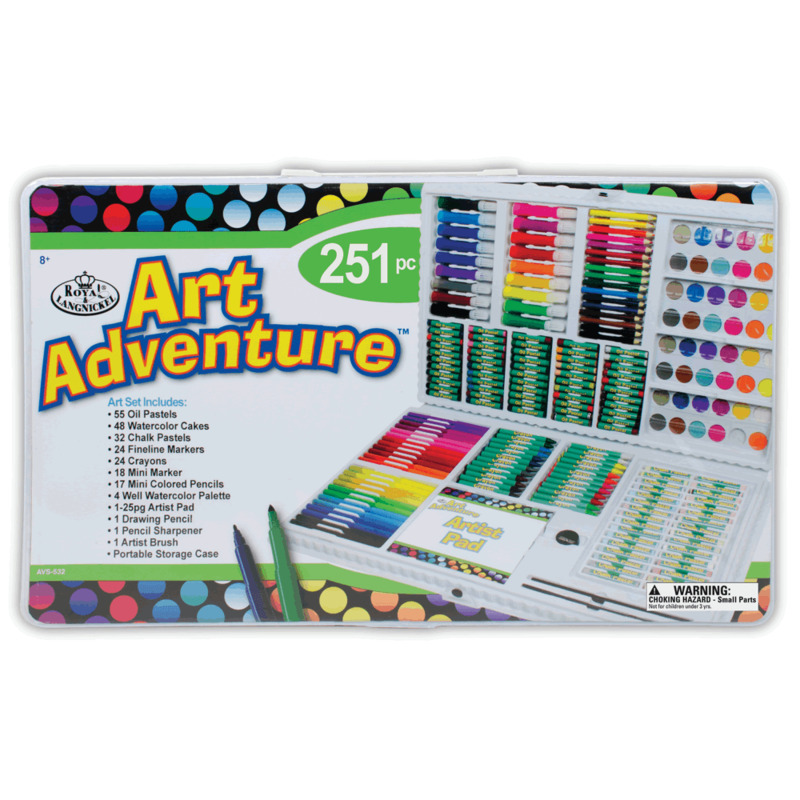 The Art set is varied (different types of materials in many colours) and I am sure our granddaughter will love it,she will have so many choices of items and colours.